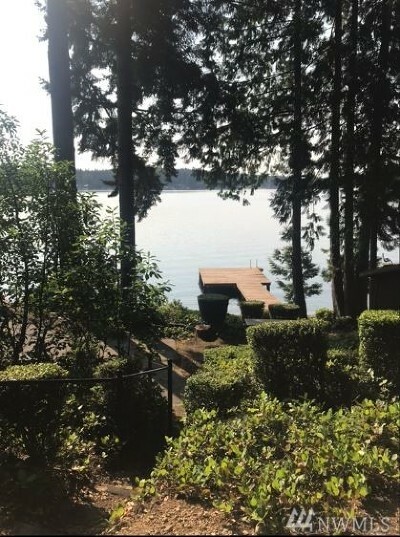 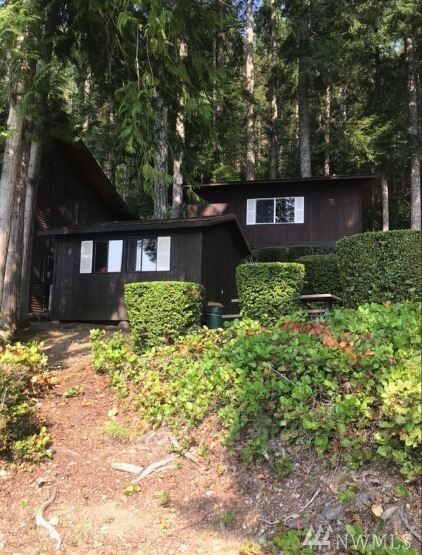 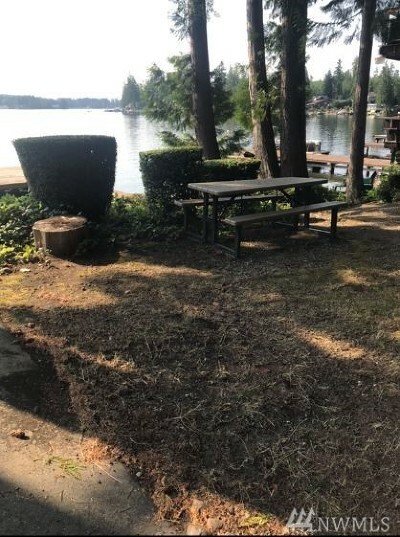 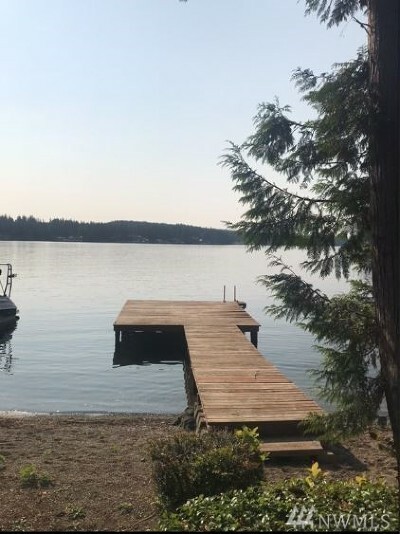 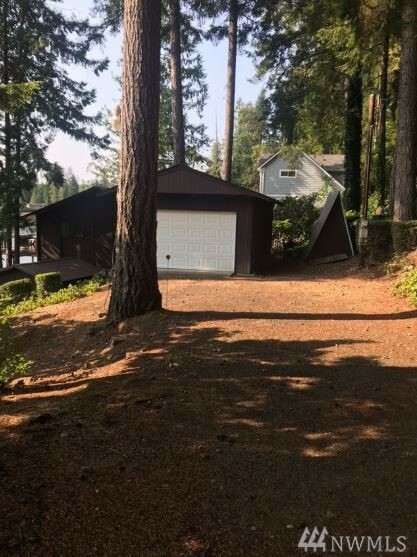 Prime no bank waterfront property in deep water Calm Cove on Mason Lake. 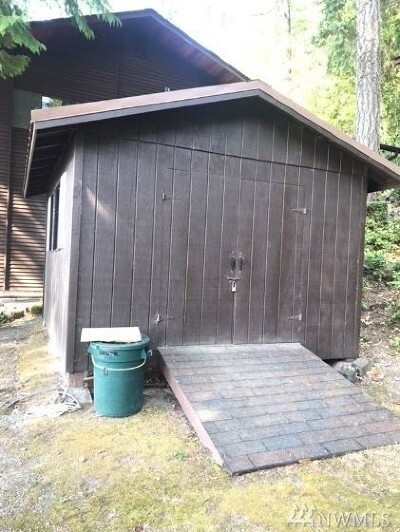 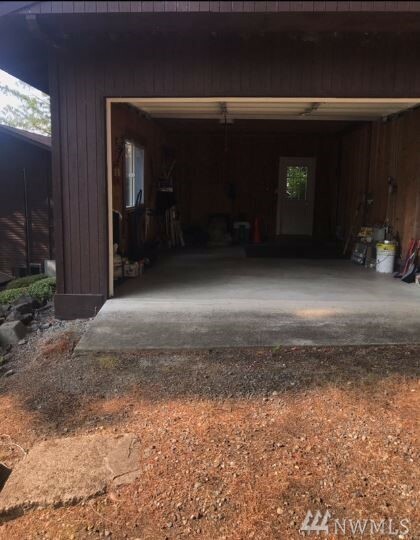 One car garage, one outbuilding, terraced with fire pit, picnic area and dock with sitting area. 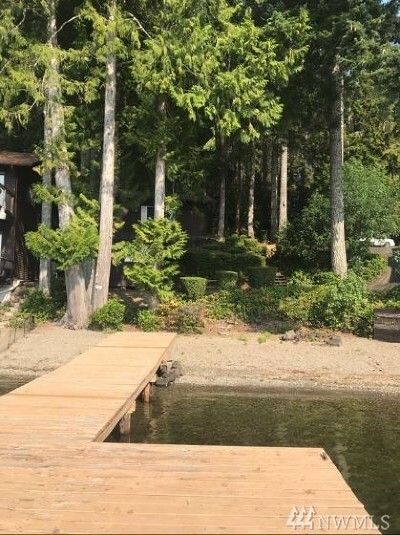 Perfect spot to bring your RV or build your dream home.